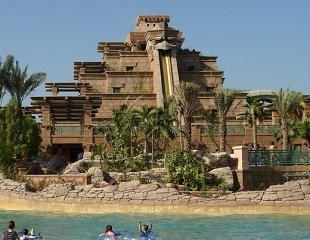 Atlantis is a 5 star aqua themed hotel resort located at the top of the Palm Jumeirah. 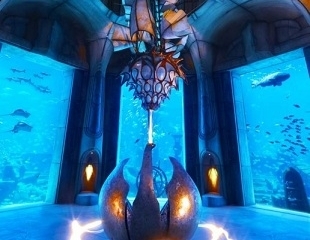 Offering something for everyone, this resort features Aquaventure Waterpark, The Lost Chambers Aquarium, that recreates the legend of the lost city of Atlantis with a fantastical labyrinth of underwater mazes, tunnels and fish tanks, and Dolphin Bay in which guests	can swim and interact with dolphins. 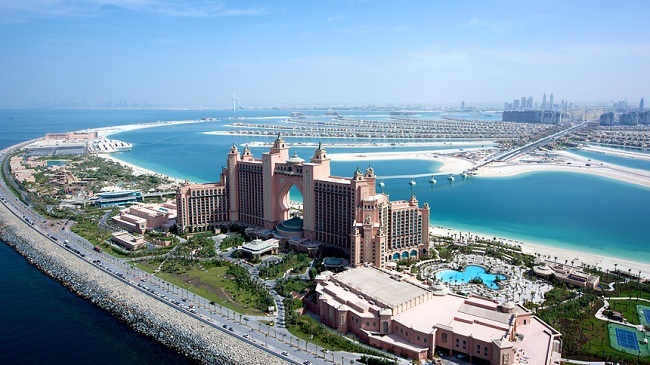 Atlantis is not just another Dubai luxury hotel. 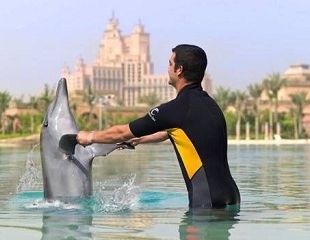 It features a waterpark, an aquarium and a dolphin education center, where guests can meet dolphins through a choice of interactions. All of this is not reserved for hotel guests only, but is accessible for everyone. However, hotel guests do have discounts for the tickets. The resort is located at the top of the Palm Jumeirah island, but since the island is connected to the mainland by road it is accessible by car or taxi. Also, you may wish to take the monorail. Find more information on how to get around the Palm and get to Atlantis here. The map of the resort can be found here.